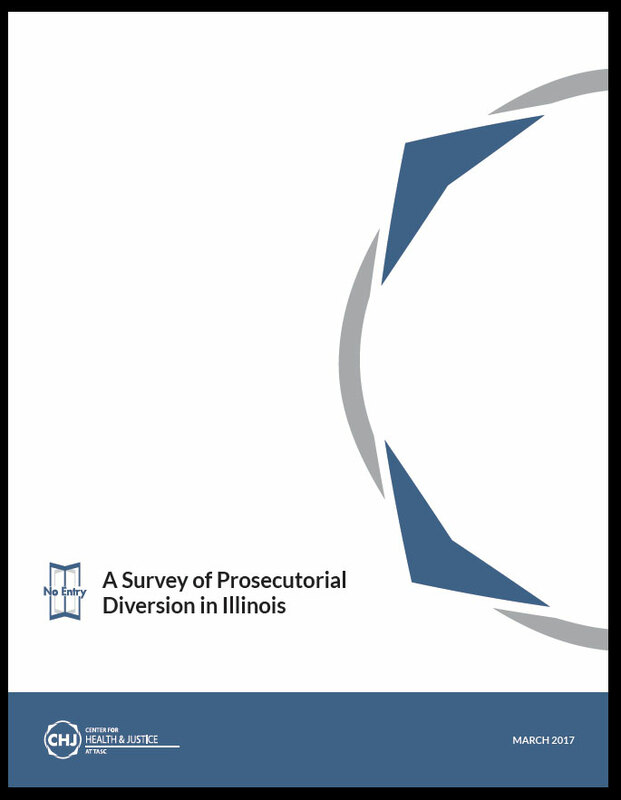 (Chicago) – A new survey of Illinois state’s attorneys illustrates the scope and variety of prosecutorial diversion initiatives operating in jurisdictions across the state. The intent of such programs often is to redirect individuals away from the criminal justice system and into community-based services, thereby preventing the unnecessary costs and harmful consequences—to the justice system, to communities, and to individuals and families—of repeated arrests, convictions, and incarcerations. The report, No Entry: A Survey of Prosecutorial Diversion in Illinois, was produced by the Center for Health and Justice at TASC. It describes 54 programs operating in 37 Illinois counties, based on information submitted by prosecutors on diversion programs and options offered in their jurisdictions. The survey collected information on program authorization, oversight, target populations, goals, structure, services, outcomes, and evaluation. “The survey highlights the work of state’s attorneys to meet local needs, and the needs of people coming through their systems, while also highlighting areas for improvement and growth,” said TASC President Pam Rodriguez. With criminal justice reform efforts underway in jurisdictions across the country, diversion programs across the front end of the criminal justice system continuum not only help stem the vast numbers of people flowing into courts and correctional systems, but also may forestall the long-term collateral consequences of a conviction. 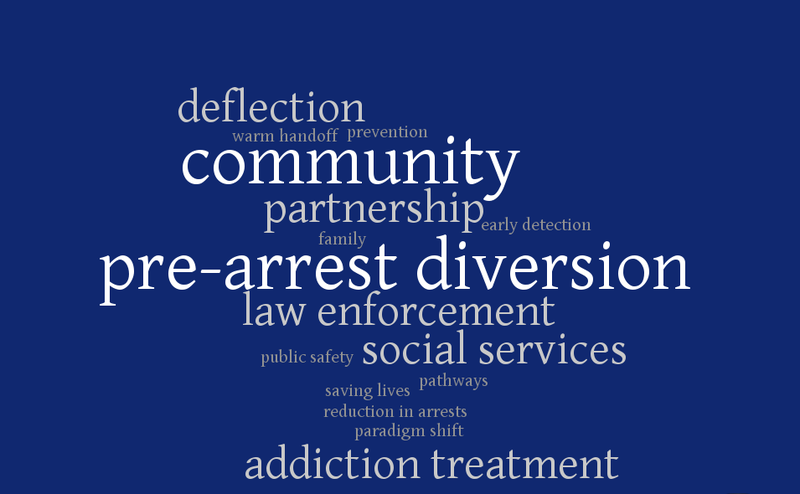 With that understanding, and to be clear and consistent about what type of programs were included in the survey, the project adopted a definition of “diversion” that included only those programs and practices that divert individuals in a way that affords the opportunity to avoid a criminal conviction on public record. By facilitating early intervention, prosecutors’ diversion policies, practices, and programs can reduce court caseloads, prevent criminal records, and encourage quicker access to services that put men and women on the path to health, stability, and community participation. In addition to highlighting program goals and collaboration, several observations emerged from the survey analysis. For example, most programs responding to the survey limited participation eligibility based on the defendant’s charge or criminal history, and many were limited to first-time offenses. Most featured connections to clinical services, such as substance use and mental health interventions, with many accessing other supportive services as well. A number of respondents reported either that evidence-based practices were not used or that they were not sure if they were used. In terms of program funding, a majority of programs surveyed relied on local budgets and/or participant fees. Additionally, responses indicated that while many programs reported outcomes, in most cases they did not rise to a statistical measure that can be analyzed or compared on level footing with other programs. The report offers eight recommendations intended to guide criminal justice system practitioners and other stakeholders in the development, implementation, expansion, replication, and improvement of diversion programs. The recommendations are also intended to inform and motivate discussions and decisions made by policymakers and other decision-makers, as diversion programs continue to proliferate. Incorporate research findings and evidence-based practices into diversion programs. Apply resources to individuals and programs with potential to achieve the greatest impact. Incorporate community-based behavioral health and social services into diversion programs, as appropriate, especially substance use and mental health services. Leverage all available resources for community-based behavioral health and social services, and strongly advocate to protect and expand them. Adopt standardized program goals, outcome and performance measures, and terminology. Adopt standardized data collection and analysis models and mechanisms. Develop a web-based, searchable directory of diversion programs in Illinois. Develop opportunities for cross-system education, training, and technical assistance available to jurisdictions for the purpose of establishing, expanding, or improving prosecutorial diversion programs. For further information on front-end diversion initiatives, please visit the Center for Health and Justice at TASC. 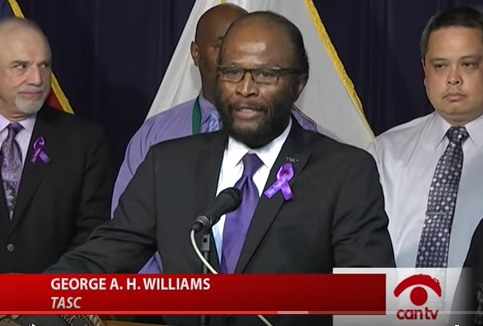 (Chicago) – TASC Vice President of Community and Government Affairs George Williams joined other members of the new West Side Heroin Task Force assembled on International Overdose Awareness Day to announce findings of a study on the impact of heroin in Chicago’s west side neighborhoods. The Roosevelt University study, “Hidden in Plain Sight: Heroin’s Impact on Chicago’s West Side,” found that while media coverage of the current epidemic has focused on “the new face of heroin”—white, suburban or rural users—the west side for many years has been ground zero of the crisis and its consequences. “To continue to ignore the west side of Chicago is like a firefighter putting out a fire in part of the house and leaving the house burning,” said State Rep. La Shawn Ford (D-8) at the August 31 press conference. The task force, led by Ford and comprised of dozens of partners and organizations, including TASC, will support and intensify existing efforts in the fight against heroin. Long considered to be a place where people with heroin addictions travel from the suburbs and other parts of Chicago to get their drugs and leave, “the city’s west side actually is a hotbed for heroin hospitalizations, arrests and deaths,” Roosevelt University’s news announced. 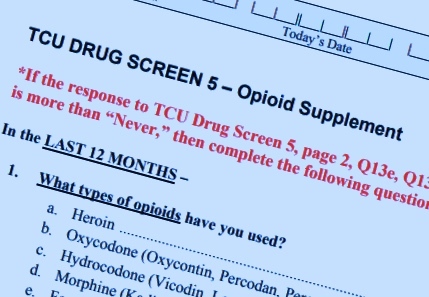 Task force member Kathie Kane-Willis, director of the Illinois Consortium on Drug Policy at Roosevelt University, authored the study, which found that opioid-related hospital admissions of Chicagoans on the west side constitute almost one in four such hospitalizations across Illinois. Additionally, heroin possession arrest rates in these neighborhoods continue to exceed those in other parts of the city, even increasing during times of overall citywide decline. Further, the study indicated that the Chicago metro area experienced the second greatest decline in publicly funded drug treatment admissions among all state metro areas, falling by 61 percent over the past 5 years. The study found that recent heroin overdose rates were higher in Chicago than in suburban Cook, Will, Lake, McHenry, DuPage, and Kane counties, and the overdose mortality rate across the state was significantly higher for African Americans (8.94 per 100,000 population) than for whites (5.86). The report includes recommendations to increase community-based treatment, reclassify drug possession related to small amounts as a misdemeanor offense, and provide medication-assisted treatment to individuals incarcerated in Cook County jail, among others. Joining fellow task force members to release the report, Williams noted that the world is moving to a platform of public health, and not a criminal justice response to heroin addiction. Ford advocated that resources, services, and cutting-edge programs be directed to residents, and also encouraged funding for House Bill 1, a comprehensive measure to fight heroin. In addition to Ford, Willis, and Williams, speakers at the press conference included Dr. Sonia Mehta, CEO of Loretto Hospital; Jacqui Colyer, regional administrator of the Illinois Department of Children and Family Services; Dr. Dan Lustig, vice president of clinical services at Haymarket Center; Jamelia Hand, overdose prevention advocate; Marianne Schiavone, chairperson of West Suburban Hospital; Doris Davenport, president of the Center of Community Connections; and Chelsea Laliberte, executive director of Live4Lali. George A. H. Williams, TASC vice president of community and government affairs, speaking at the August 31, 2016 press conference. (Chicago) – TASC President Pam Rodriguez shared highlights of Illinois’ successful Recovery Coach program at a December 3 Capitol Hill briefing focused on issues and solutions in child welfare reform. In partnership with the offices of U.S. Senator Rob Portman (R-OH) and Congressman Danny K. Davis (D-IL), Children and Family Futures hosted the briefing, entitled The Elephant in the Room: Access to Substance Abuse Treatment—A Cornerstone of Child Welfare Reform. With an audience encompassing Congressional staff, policymakers, and child welfare advocates, the briefing highlighted the role of substance use disorders in the child welfare system and what works to better serve affected children and their families. Rodriguez presented lessons and outomes from Illinois’ Recovery Coach program, which addresses substance use disorders among parents whose children have been removed from custody due to substance-related maltreatment. The program began in 2000, funded through a Title IV-E waiver granted the Illinois Department of Children and Family Services (DCFS). TASC has provided services for the Recovery Coach program since its inception in Cook County in 2000, as well as in Madison and St. Clair counties since the program expanded in 2007. Links between childhood maltreatment and delinquency. There is growing understanding of the connection between child maltreatment and later delinquency, and the crossover of children who are involved in both child welfare and juvenile justice systems. Young people involved in these systems face a host of complex challenges, which may include trauma, educational difficulties, mental health conditions, sexual abuse, and the instability of group homes or foster care placement. TASC works with DCFS to help stabilize children in care and reduce young people’s likelihood of becoming involved in the justice system. Intensive outreach and case management. Through the Recovery Coach program, TASC works with the parent, child welfare caseworker, and alcohol/drug treatment agency to remove barriers to treatment, engage the parent in treatment, provide outreach to re-engage the parent if necessary, and provide ongoing support to the parent and family through the duration of the child welfare case. As Rodriguez explained in the briefing, the program draws on research pointing to the complex needs of parents involved in child welfare and justice systems. For example, a 2014 needs assessment report by the Center for Children and Family Futures for the Office of Juvenile Justice and Delinquency Prevention synthesized hundreds of Family Drug Court surveys, stakeholder interviews, and more than 2,500 technical assistance requests from all 50 states. Among Family Drug Courts, services for parents were consistently identified as priorities. Systems must recognize and respond to complex and multiple needs arising from trauma, dual-diagnosis, and domestic violence; responses include engagement and retention strategies, recovery supports, and serving parents in medication-assisted treatment (MAT). The report also found that sustainability of funding and cross-system knowledge emerge as consistently-cited needs among jurisdictions and stakeholders. Rodriguez noted that the Recovery Coach program’s success comes from not only the direct services to parents, but also the understanding of and attention to the cross-systems issues that influence outcomes. Further, the program provides a response to the opiate crisis that is affecting child welfare systems. Effectiveness and cost savings. A 2012 in-depth program evaluation by the University of Illinois at Urbana-Champaign showed that parents with a TASC recovery coach were more likely to access treatment, and children whose parents had recovery coaches were more likely to be safely reunified with their parents. Furthermore, children whose parents had recovery coaches were significantly less likely to be associated with a subsequent juvenile arrest. In addition, according to the March 2015 semi-annual progress report released by DCFS, the Recovery Coach program has generated more than $10 million in savings for the State of Illinois since the program began in 2000. These savings come from significantly higher rates of family reunification, resulting in fewer youth in the system, as well as quicker reunification, resulting in fewer days spent in foster care. TASC is a statewide, independent case management and care coordination agency in Illinois, annually serving 27,000 individuals referred by criminal justice, juvenile justice, and child welfare systems. (Chicago Heights) – Clergy and other faith leaders who have seen the impact of substance use in families and communities will have the opportunity to learn about pathways to recovery at a special one-day training event in Chicago Heights on October 1. Understanding Addiction and Supporting Recovery is a national training delivered by the National Association of Children of Alcoholics (NACoA) Clergy Education and Training Project™. The event will be hosted and supported by the City of Chicago Heights and South Suburban Family Wellness Alliance (SSFWA), with additional support from Franciscan St. James Health. Presenters will include Sis Wenger, president and CEO of NACoA; Al Orsello, president and CEO of The Prevention Partnership; and the Rev. Tommie Johnson, recovery support services coordinator for TASC. Open to all faith leaders in the south suburbs and surrounding areas, the training and curriculum materials are offered to faith leaders free of charge, thanks to a Drug-Free Communities grant from the U.S. Department of Health and Human Services, Substance Abuse and Mental Health Services Administration (SAMHSA). There is a nominal $15 cost to cover lunch. The training is offered to help leaders in the faith community un­derstand more clearly the family and spiritual problems related to addiction and to provide tools and strategies to assist families. Participants will learn and share knowledge about effective prevention, intervention, and recovery tools, and promote successful, collaborative interfaith community partnerships. The event will take place at the Chicago Heights Professional Office Building, 30 E. 15th Street, on October 1 from 8:30 AM–3 PM. Advance registration is required. To register, please call TASC Administrator and SSFWA Project Director Alisa Montgomery-Webb at 312-203-9674. Anthony Harden, recipient of IADDA’s 2014 Dr. C. Vincent Bakeman Memorial Award, with (left to right): Alisa Montgomery-Webb, TASC Youth Reentry Services Administrator; Gloria Harden; Maxie Knighten, TASC Juvenile Justice Services Team Leader; Alicia Kusiak, TASC Director of Cook County Services; and Janelle Prueter, TASC Vice President of Operations. 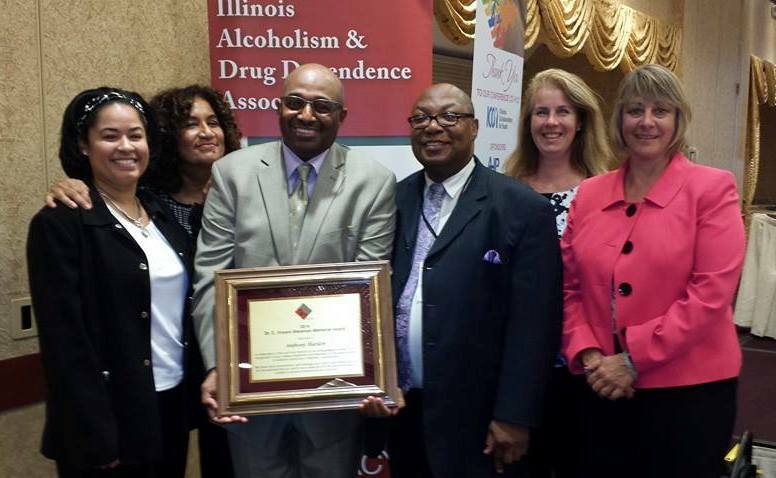 (Chicago) – Recognized for his tireless advocacy on behalf of youth and families in need of health services, TASC Youth Services Administrator Anthony Harden was honored September 4 by the Illinois Alcoholism and Drug Dependence Association (IADDA). Harden received the 2014 Dr. C. Vincent Bakeman Memorial Award at the association’s annual conference in Lisle. IADDA presents the award each year in memory of Dr. Bakeman, a pioneer in the field of addiction prevention and treatment who envisioned a society where all people have equal access to these essential health services. He added that he would be remiss not to mention Dr. Bakeman’s insistence in advocating for all cultures, in particular for people of color. TASC President Pamela Rodriguez presented the award to Harden, honoring his dedicated service and compassion for clients and staff. With more than 20 years of dedicated service at TASC, Harden leads the agency’s services for the Juvenile Drug Court in Cook County, as well as TASC’s programs in partnership with the Cook County State’s Attorney’s Office. He serves on several committees and boards, including the Juvenile Detention Alternatives Executive Committee, the Austin Community Coalition for Healthy Lifestyles, and the UIC PHAT (Preventing HIV/AIDS Among Teens) Community Advisory Board. Established in 1967, IADDA is a statewide advocacy organization that represents more than 50 organizations across Illinois that provide substance use disorder prevention, treatment, and recovery services. TASC is a member agency of IADDA.